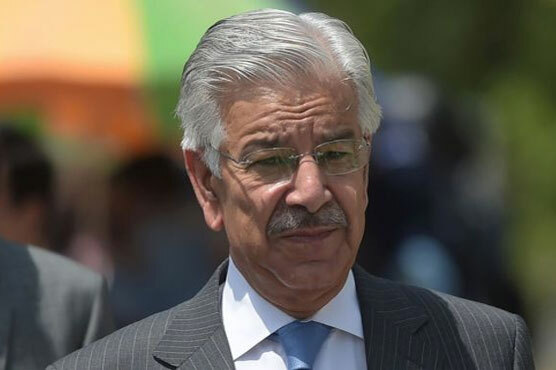 Islamabad High Court (IHC) will announce the verdict on a petition seeking disqualification of foreign minister and Pakistan Muslim League Nawaz (PML-N) leader Khawaja Asif today (Thursday), reported Dunya News. A three-member bench, headed by Justice Athar Minallah, had reserved verdict on Pakistan Tehreek-i-Insaf (PTI) leader Usman Dar’s plea on April-10. As per details garnered, the verdict would be announced by Justice Athar Minallah. Earlier, Asif had submitted company’s letter and additional documents. The letter states that full-time presence of Khawaja Asif wasn’t mandatory under consultation agreement. “Consultation from Kh Asif was either sought through telephone or during his visit to Dubai”, read the statement of the letter. The company further stated that its legal member was ready to appear before any court in Pakistan in Kh Asif disqualification case.